Alas: Alas! is an interjection used to express regret, sorrow, or grief. Alaska: Alaska ; Aleut: Alax̂sxax̂; Inupiaq: Alaasikaq; Alutiiq: Alas'kaaq; Tlingit: Anáaski; Russian: Аляска, translit. Alyaska) is a U.S. state in the northwest extremity of North America, just across the Bering Strait from Asia. 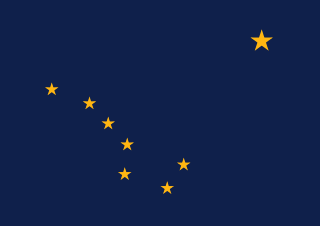 Alaska Purchase: The Alaska Purchase was the United States' acquisition of Alaska from the Russian Empire on March 30, 1867, by a treaty ratified by the United States Senate, and signed by President Andrew Johnson. Alaska Airlines: Alaska Airlines is a major American airline headquartered in SeaTac, Washington, within the Seattle metropolitan area of the state of Washington. It is the fifth-largest airline in the United States when measured by fleet size, scheduled passengers carried, and number of destinations served. Alaska Highway: The Alaska Highway was constructed during World War II for the purpose of connecting the contiguous United States to Alaska across Canada. It begins at the junction with several Canadian highways in Dawson Creek, British Columbia, and runs to Delta Junction, Alaska, via Whitehorse, Yukon.